In the latest in our series of Meet the Band interviews, we talk to Andy Shipp as he reveals his history as a trombone player, talks about his musical education with the likes of Don Lusher and Lindsay Shilling, and shares with us some of his strongest musical influences. When did you join Horn Factory and what instrument do you play? I first joined at the very inception in the 90s. I took a break around 2003 then rejoined around 2008. I play second trombone. At what age did you start playing trombone and how did you learn? I first started learning at school aged 13 via the local Chatteris Town Brass Band and school peripatetic system. 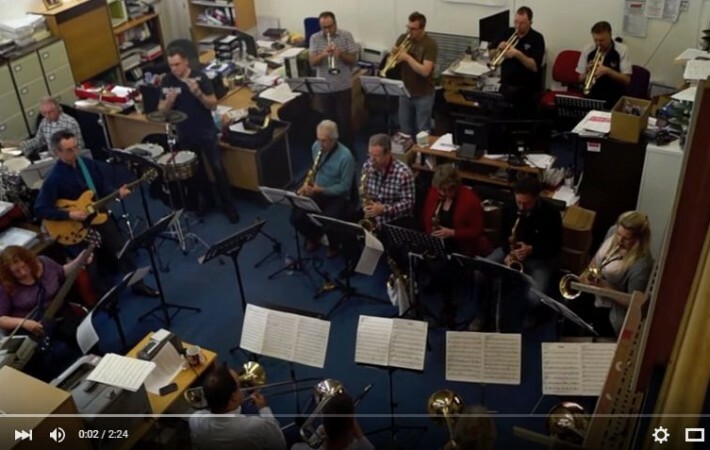 I was very lucky to be taught for free by the local bandmaster and part time peripatetic teacher, Roy Shilling and his son Lindsay, who is now Principal Trombone of the Royal Opera House! 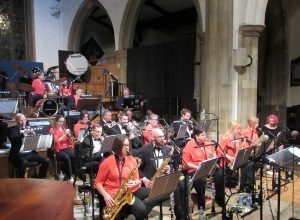 Essential Sounds Big Band as they play such a wide range of music at a large variety of engagements. 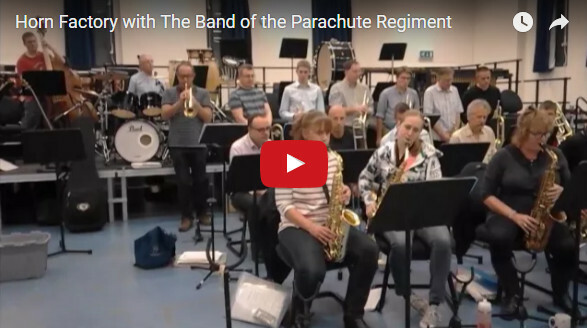 It keeps everything fresh and it’s great to play and see people enjoying themselves whether it’s listening to a concert and getting up and dancing at a function – anything that gives great audience feedback to the band is brilliant! What’s been the most unusual gig you’ve performed? It has to be an open air production of Gilbert and Sullivan in the pouring rain with cast wearing clear anoraks!!! I attended masterclasses with the king of trombonists, Don Lusher. 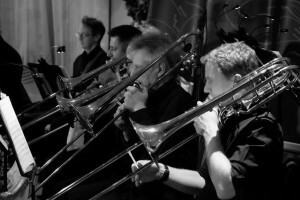 I’ve also performed with professional world renowned trombonists Mark Nightingale and Nick Hudson and of course, studied with Lindsay Shilling, Principal Royal Opera House and London Brass and top London session player. A few! Essential Sounds Big Band (commercial/function band), Six Appeal 10 piece function band, Colchester Phoenix Big Band and regular depping for anyone who needs a player! 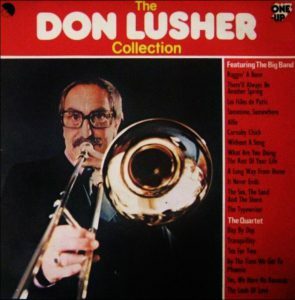 Don Lusher, Tommy Dorsey, Ian Bousfield & Lindsay Shilling (trombonists), Frank Sinatra, Elvis Presley, Pavorotti, James Morrison (Australian Multi instrumentalist). My full time job is an Area Manager for a UK Bank, looking after 3 teenagers and regular cinemagoer.